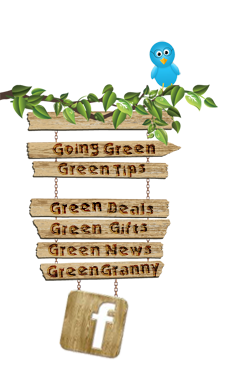 The following selection of green stores have been given two thumbs up according to Green Granny's high standards of eco-friendliness, sustainability and social awareness. Oh yeah, and prices too! It's the online green super stores that are helping buyer's like us save more money where it matter's most. The following green stores are the best of the best in terms of their selection, quality and cost. VIVATERRA is GREEN GRANNY APPROVED! EARTH EASY is GREEN GRANNY APPROVED! GREEN CUPBOARDS is GREEN GRANNY APPROVED! SOLAY WELLNESS is GREEN GRANNY APPROVED! GREEN LIVING EVERYDAY is GREEN GRANNY APPROVED!